Recently we added 10 new designs to our Weddings, Volume Two album: Pretty laser-cut pockets, fabulous foil and bright ribbons are just a few details brides-to-be will fall in love with. Below are a handful of our favorites, but to see all the new designs, visit our Pinterest board, then head to your local William Arthur retailer to see—and touch—for yourself! 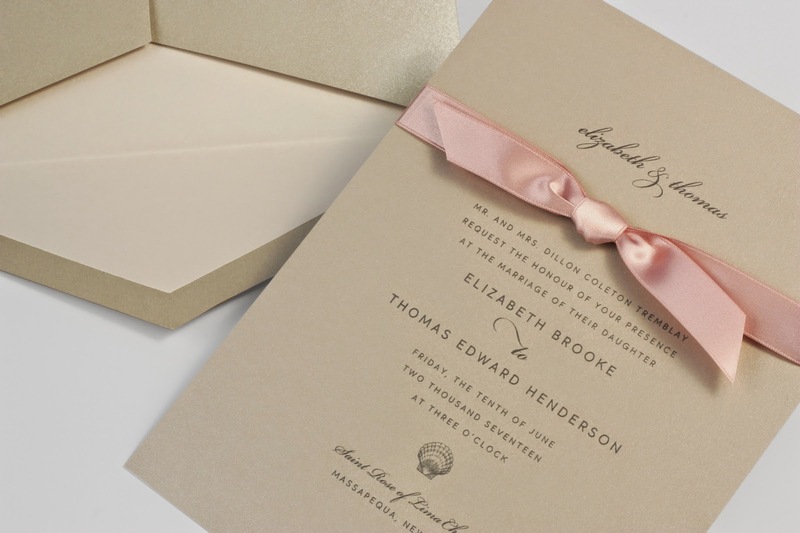 Sandstone invitation printed with taupe ink and a delicate shell motif and tied with a lovely ribbon. 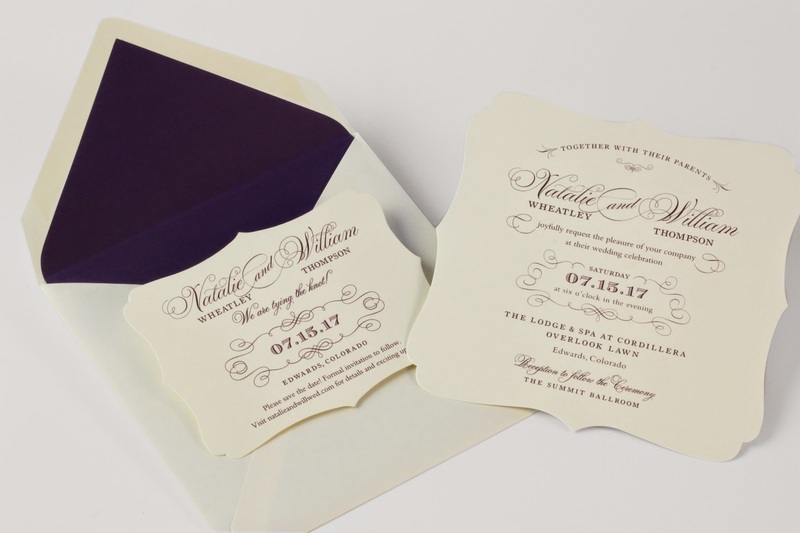 Scalloped invitation in ecru with plum ink and paired with a plum-lined envelope. 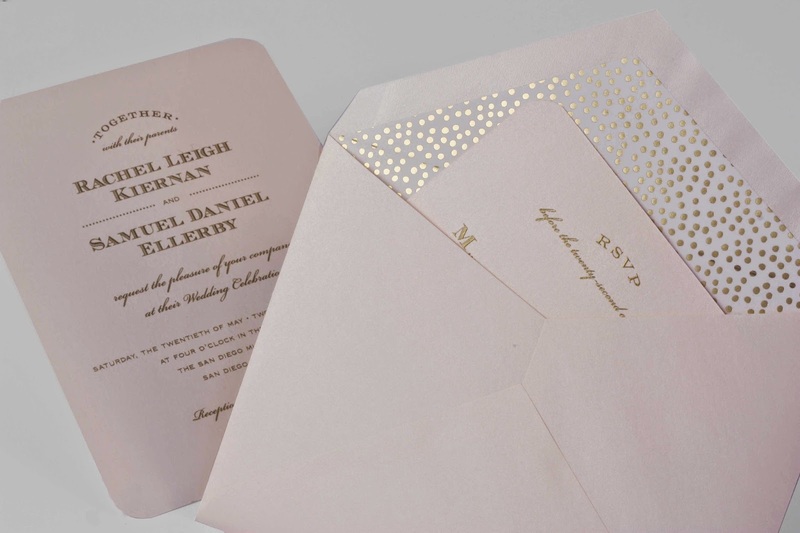 Taupe shimmer pocket invitation printed with indigo ink. Coral invitation with rounded corners and printed in gold. 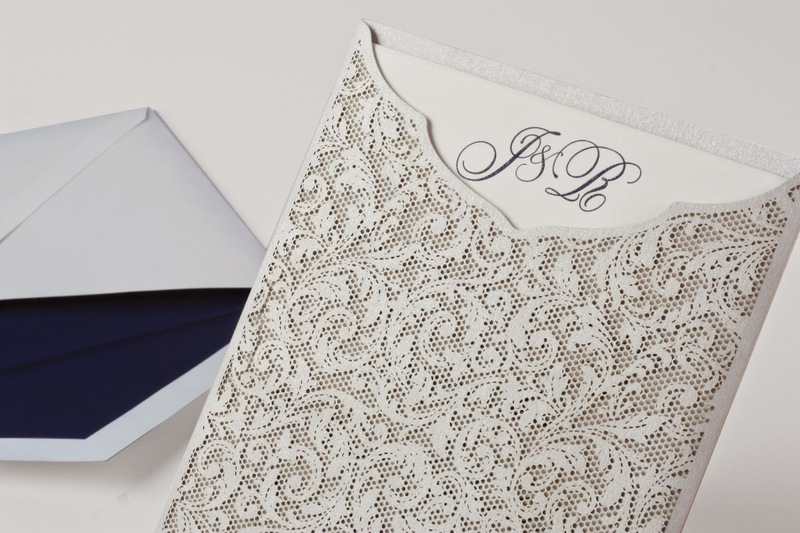 Paired with a gold dot-lined envelope. Follow William Arthur Fine Stationery's board What's New: Weddings, Volume Two on Pinterest. Sign up for our newsletter for updates on new products, blog highlights and promotions!